When a home listed for sale expires off of the market without so much as an offer there are a number of common reasons as to why that happened. 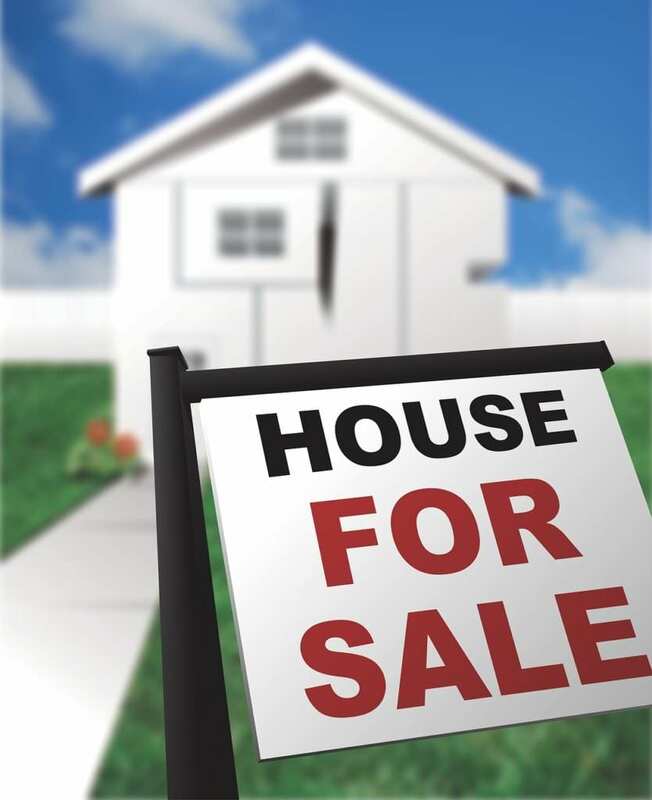 Some of the causes of having an unsold home are the responsibility of the real estate agent if there is one involved. Other aspects of selling a home are done in coordination with the real estate agent but is the primary responsibility of the home seller (setting the listing price for example). If a home seller still has in mind the goal of selling their home this list of six common reasons why a home does not sell will help home sellers get back on track and get their home sold. So ask yourself do you really want to sell your home? CLICK HERE AND FILL OUT THE FORM TO RECEIVE A HOME EVALUATION. HOW MUCH IS YOUR HOME WORTH? One of the most important things I can offer you is buyer confidence. Because we have a wide network of buyer sales associates, we have access to many motivated buyers who trust their agents to find their dream homes. Our managers and their sales associates work hard to keep their fingers on the pulse of the real estate market, noting fluctuations and corrective strategies that make your home sell-able in any market. We can help you decide how to price your home to sell with the best possible advantage to you. Relax. We’ve covered all of your bases. As a Realtor®, I’m confident you and I can find the right buyer for your home. You need to start with a comparative market analysis of your home. This will show what your home should sell for. Do you want to sell your home? It is important that you do a few basic things. This is not expensive or complicated. You can prepare your home for the market. The simplest preparation does not cost a lot of money. Cleaning is key. This is the most important – clean. If you can smell it, you can’t sell it! Things like de-cluttering and de-personalizing your home (think, show your home, not your stuff!). Expect prying eyes! Buyers are most often strangers – even to their real estate agent. Lets face it, buyers are going to look. They will open drawers. They will peer into closets. The will look in the garage. Put away valuables, firearms, medications (yes your meds this is the most stolen item) and personal information/documents. Think safety, security and even identity theft. A real estate agent can’t watch every person who enters your home a 100% of the time even though they may try! Let Your Realtor handle things. It is not necessary for you to “highlight” or act as a tour guide. Leave the house. Remember, you chat may give away too much information…or at least may give away negotiation positions or even price. 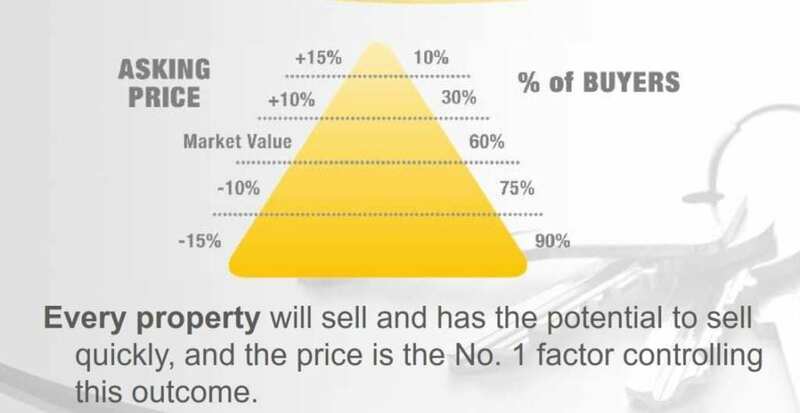 Price should reflect three things if a seller is motivated: condition, location and competition. Its all about numbers: 30-10-1, for instance. If in 30 days you do not have at least ten showings and one realistic (even if not accepted) offer. If not, look at price. You can’t price too low, really! You are not required to accept any offer. If you price low, you may receive multiple offers with buyers competing with each other. You can price too high! See 30-10-1 above! Accommodation: Showings are necessary to sell. Accommodate reasonable showing requests. Conditions like 24 hour notice, list agent must be present for showings are obstacles. Second showings confirm “good.” Whether the subject property is in the running or its being compared to another potentially better property. Don’t scoff at a less than full price offer. An offer that is reasonable, yet not quite “there,” is potentially the one...it is just in the “lets talk” stage! Expect contingencies. In particular expect an inspection contingency and anticipate little repairs. Do them up front because multiple little things can cost dollars later – or even a sale. And if there are issues, that can’t be fixed, disclose them up front and consider them in pricing. This is where the magic happens! 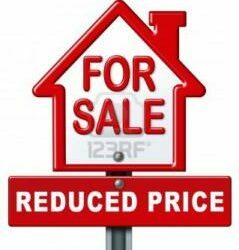 I essentially do my comparative market analysis like an appraiser will do their appraisal. Location, size, type of home, amenities, close date and condition are reviewed. Just picking some cost per square foot numbers is an inadequate system. About how I create a comparative market analysis. I look at active, sold, withdrawn and expired homes. I look in the MLS and in public records. Withdrawn/expired listing usually demonstrate an overpriced listing. Please do not trust Zillow or some other automated system to give you an accurate comparative market analysis. Without going into a home and seeing the condition you cannot evaluate the value. What you spent on improvements. What it cost to build. Overpricing is one of the main reasons a house will not sell. Yes the market is hot. Yes homes sell quickly. Yes there is a shortage of homes. That does not mean you can overprice your home. Just because you want it does not mean you will get it. Homebuyers are looking to get the best value for their money when buying a home and go in fully informed with regards to home prices and features. Regardless of how many upgrades, add-on features a home has if the price is not in line with other homes in the neighborhood it will not sell. PERIOD. 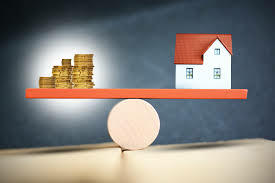 If the price of the home is in excess of what the surrounding neighborhood is then homebuyers will not want to buy that home since it exceeds their budget for a home that could be bought in that neighborhood. Or homebuyers will prefer to buy in a neighborhood with homes that have the higher averaged priced homes since with a higher average price the value of the newly bought home is supported by other neighboring homes with similar value. In the case of the highest priced home in a neighborhood there is little room for value appreciation since the home has already been priced above the average. The best way to obtain accurate pricing for selling a home is through a Comparative Market Analysis (CMA) which compares recently sold homes that are similar in size, features and location to the home which is to be sold. Other factors such as home condition, age of the mechanical systems and more should be taken into account when setting a listing price. A home with a less than five year old heating and cooling system will obviously have a price advantage over a home that still has its original 25 year old gas furnace with only window air conditioning units. Home sellers need to price their home properly according to home condition and the CMA. Home sellers also need to be ready to adjust the price as buyer feedback comes in regarding the home’s condition and pricing. Selling a home is a huge decision. You need to get yourself ready to sell. You will want to prepare yourself for the decisions to come. There is a lot to learn. I hope this helps you. One way to prepare for a selling your home is to learn the market. The MLS (multiple listing service) provides an easy way gather data all over the valley. When you know the market you make intelligent decisions on the value of your home. If you think your home is worth say $300,000….look at other homes selling for $300,000…they are your competition. Does your home really compete? I can provide you a portal to view all activity in your neighborhood. You will see what has just listed, just sold or changed its price. We can structure this in many ways depending on your interest. There are several companies that offer home searches…Zillow, Realtor, Trulia…but these are not live searches. The estimates of value they give are questionable they may be 5, 10 or 20% of the final sale price. In all honesty even they recommend you go to a Realtor before you put your home up for sale. They cannot go into your home and evaluate it. Some things need to be done by people not an algorithm. I offer a website with lots of information about the home buying process and a live MLS feed. I have many single click searches created or you can custom design your own search. You have the option of using this MLS search as a ‘drop in’ visitor or as a registered user. If you choose to be a registered user we can save a search of your neighborhood with all the active, UCB, pending and sold for the last 3 months or for the whole year. Obviously you can’t save that information if there is no account to save it to. Go to HomesWithJean.com to start you search. Contact me to create the search with the closed properties. This is a terrific way to learn the market. ENJOY!! What will a Realtor Do for You? What does a Realtor do for you? A Realtor will give advice, help set pricing, market, give you security, negotiate, and handle the details of closing your home. A Realtor will give you advice on preparing your home for sale. 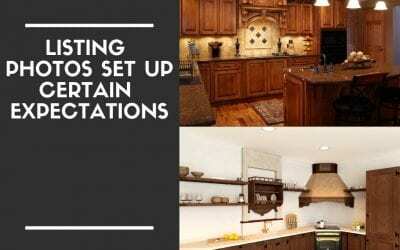 In order to get top dollar for your home you need to prepare. I can give you advice on repairs and preparation that needs to bee done for your home to compete on the market. The selling process generally begins with a determination of a reasonable asking price. I can give you up-to-date information on what is happening in the marketplace and the price, financing, terms and condition of competing properties. These are key factors in getting your property sold at the best price, quickly and with minimum hassle. The next step is a marketing plan. Marketing includes the exposure of your property to other real estate agents and the public. I act as the marketing coordinator, disbursing information about your property to other real estate agents through the Multiple Listing Service,and direct contact with agents. 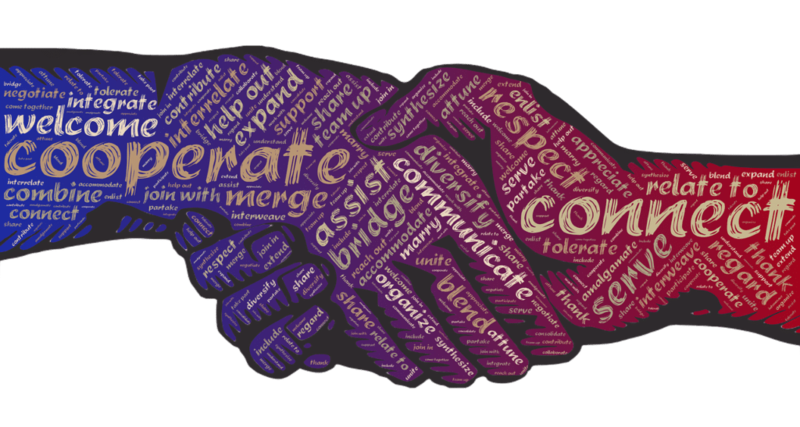 The REALTOR® Code of Ethics requires REALTORS® to utilize these cooperative relationships when they benefit their clients. All my conversations are targeted with your interest in mind. I hire a professional photographer. Most people start their search on line and photos are the first impression you will make on a prospective buyer. We need to make a good first impression. Think of it as the first date. You need to look sharp! Advertising is part of marketing. The choice of media and frequency of advertising depends a lot on the property and specific market. For example, in some areas, newspaper advertising generates phone calls to the real estate office but statistically has minimum effectiveness in selling a specific property. Overexposure of a property in any media may give a buyer the impression the property is distressed or the seller is desperate. I will know when, where and how to advertise your property. The NATIONAL ASSOCIATION OF REALTORS® studies show that 82 percent of real estate sales are the result of agent contacts through previous clients, referrals, friends, family and personal contacts. Additionally I use press releases and social media to attract potential buyers. When a property is marketed with my help, you do not have to allow strangers into your home. A licensed realtor will pre-screen and accompany qualified prospects through your property. The negotiation process deals with much the same issues for both buyers and sellers. I can help you objectively evaluate every buyer’s proposal without compromising your marketing position. This initial agreement is only the beginning of a process of appraisals, inspections and financing — a lot of possible pitfalls. I can help you write a legally binding, win-win agreement that will be more likely to make it through the process. Time to prepare your house to sell. The home-selling process typically starts several months before a property is made available for sale. It’s necessary to look at a home through the eyes of a prospective buyer and determine what needs to be cleaned, painted, repaired and tossed out. If you want to sell your home you need a plan. I will provide you with a marketing plan. This is a sample of what I can provide. We will work together to tailor this to suit your desires. Invite at least 20 of the neighbors to open house. A show ready home means the home is properly cleaned up and prepared so that when homebuyers come through they can see themselves living in the home. If a home has custom collections, personal pictures, unique decorations or unique paint colors/wallpaper on the walls that will serve more as a distraction for homebuyers. Personal pictures, unique decorations and collections need to be taken down and packed away so the home has more of a neutral appearance. Non-traditional colors for walls should be repainted in neutral colors or if wallpaper is present the wallpaper should be removed and replaced with neutral paint. While no home is expected to be perfect, plans should be made as to how to quickly clean up a home so that when buyers do come by the home it is presentable. Clutter should be packed away so as to not make closets or storage areas look small and cramped. Any minor repair issues in a home should be addressed before the home is put up for sale. Odors/stains from pets and cooking should be cleaned up and eliminated. Also consider removing items not used every day and box them up in storage or in a relative’s basement to help reduce clutter. Exterior curb appeal also plays into the decision making process for buyers. Mowed lawn, leaves cleaned, fresh mulch, nice flowers go a long way towards saying the homeowner took care of their house. The curb appeal will draw buyers in from the very first picture online and at the very first visit so landscape maintenance must be kept up at all times. When a buyer is seeing 4-6 homes in a day and they can’t get in to see yours because of scheduling issues that can result in a lost offer. If the buyer saw 6 homes that day and was not able to see yours, your unseen home never comes into their thinking when considering which house to make an offer on. The inconvenience of having to clean a home up for a showing is far outweighed by the inconvenience of having a home on the market longer and for more showings because a potential buyer who would have made an offer never got to see the home. Additionally the longer a home stays on the market the more likely a price reduction will be needed in order to get it sold. During showings all people and pets should leave the home. While it is not always possible to take pets out of the house during showings, putting the pets in their rooms, crates or other areas out of the way of homebuyers will help. Best would be to remove all signs of pets possible so that way homebuyers don’t imagine smells that are not necessarily there. An open house is not for everyone, If you are comfortable opening up your home, do it right. Really strut your stuff!!! Put checkbooks, kids’ piggy banks, jewelry, prescription drugs, bank statements, and other valuables in the trunk of your car, at a neighbor’s house, or in your safe. It’s rare, but thefts do happen at open houses. Set the dining room table for a special-occasion dinner. In the backyard, uncover the barbecue and set the patio table for a picnic to show buyers how elegantly and simply they can entertain once they move in. Get out of the house and let me sell it! Potential buyers will be uncomfortable discussing your home if you’re loitering during the open house. Take advantage of your child- and pet-free hours by treating yourself to something you enjoy–a few extra hours at the gym, a trip to the bookstore, or a manicure. Communication is critical in the home selling and buying process. Your real estate agent needs to timely communicate to you any buyer questions that may come up. Home sellers should get back to their real estate agent as soon as possible. Questions from the buyer left hanging can cause them to move onto one of their other home options since they don’t have enough information to make a decision on the house they had a question about. Some offers on homes can come with short time frames to respond. 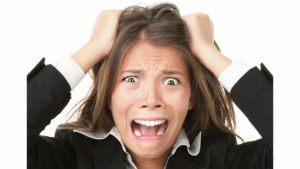 If it takes your Realtor more than 24 hours to forward you an offer that expires in 8 hours that deal just expired before a chance was had to look at it. By working with a professional real estate agent who returns calls and emails there is less chance of an offer slipping through the cracks. Slow communications by anyone involved in the home selling and buying process is a deal killer. While this is the last area listed it can also be the number one source of your home not selling since if motivation is lacking rest of the points above don’t really matter. What is the motivation to sell the home? Are those motivations still valid? By reviewing the reasons for wanting to sell a house and then re-affirming that commitment can put a home sale back on track and allow focus to be put on any other areas that need addressing. With proper motivation and understanding the goals for wanting to sell a home, home sellers will set themselves up for success. While the stress and tension of selling a home can be high having a home expire off the market without any offers can make one question why they are involved in the process in the first place. Pricing and marketing are some of the critical areas where if done wrong or not done at all are sure to be the cause of failure for a home sale. The other areas noted as well are important to pay attention to as small slips in one area can jeopardize the whole sale causing one to have to start over again. The offer on your home is made up of price and conditions. The conditions may influence your acceptance of an offer. These conditions may effect your bottom line. I can run a ‘net’ sheet to see how much money you will leave the table with. Is personal property included in the offer, ie washer and dryer, your BBQ. How much is this worth to you? Will it require you to purchase a new washer and dryer? Is there a Home warranty included that they are asking you to pay for? Are they asking for assistance in paying closing costs? Is this a VA loan. There are additional costs to the seller in a VA loan. Are they asking you to do any additional repairs? The conditions include close of escrow date. Time is often an important variable. I will guide you thru the paperwork and help you get the best deal possible. Has the buyer then buried thousands of dollars in discounts and seller costs within tiny clauses and contract additions? In each case, owners — with assistance from me — will need to carefully review offers, consider marketplace options and then determine whether an offer is acceptable. Offers and counter-offers keep your potential sale alive. Negotiations are less stressful when you decide in advance how low you’re willing to go early. In negotiations, you have to know what your bottom line is, because the offer may be less than your asking price. You may have more than one offer to compare. The highest priced offer may not be the best offer if you are asked to make costly repairs or contribute to the buyer’s closing costs. To avoid surprises, work out several potential scenarios with me, so that you will be prepared with a response when an offer comes in. I will be able to provide an estimate of your closing costs, as well as the buyer’s closing costs, so you can do the math together. The offer on your home is the sum of the offering price and all the terms. The terms effect your final net amount. I will do a net sheet to estimate what every bid will net you. With this knowledge we can negotiate terms and price to get the best deal for you. When an offer comes in, I will contact the buyer’s agent to find out as much as possible about the buyer and the buyer’s needs. You want the agents involved to have a rapport. Your agent will need to get as much information that will enable you to respond positively to the offer and still keep your bottom line intact. Buyers often want to test the seller, and make offers below asking price. However, if the offer is close enough to accept, don’t sign right away. Delay the acceptance for a few hours. This strategy lets the buyer know that the offer wasn’t jumped on, and may cause the buyer to think twice about being too demanding during the inspection phase. In the case where you get a full price offer, study the offer carefully to add up possible expenses such as whether the buyer wants you to pay his closing costs. A full price offer could signal that the buyer intends to negotiate a lot of repairs or refurbishing costs during the inspection period. If you’ve had your own inspection, you’ll know what to expect and how much you will negotiate off the price or in repairs. If the offer is uncomfortably below asking price, try to find out the buyer’s mindset. Could the buyer be trying to buy more house than he or she can afford? Could a change of financing help get closer to your price? Can you help with the buyer’s closing costs if he or she will raise the offer price? An offer with very little down payment may signal that the buyer has financing issues. Find out if the buyer has been pre-approved, which means that the buyer has actually been approved for a loan through sharing his/her financials with the lender. Be patient. While stressful, expect negotiations to go back and forth until the contract is amended to both the buyer’s and your satisfaction. Trying to “just get it over with” can cost you money. Don’t make a final decision until you have all the information you need, such as the buyer’s pre-approval letter and most recent comparable sales and active competition. As long as you keep the relationship pleasant, respond to the buyer’s questions with receipts, documentation, and information in a timely manner, it will be easier to negotiate the sale of your home. Buyers want to feel that they got a good deal, and the best way to make them feel good about their purchase is to show them that you have taken good care of the home, and that you are turning over a fine asset to their care. SELLER’S PROPERTY DISCLOSURE STATEMENT or SPDS are not discussed often. But they are a critical part of the home buying/selling process. You generally read about sellers property disclosure statement from a buyers point of view. The seller must realize that these disclosures are serious and legally binding. RESIDENTIAL SELLER’S PROPERTY DISCLOSURE STATEMENT (SPDS): (To be completed by seller): Sellers are obligated by law to disclose all known material facts about the property to the buyer. The SPDS are designed to assist you in making these disclosures. 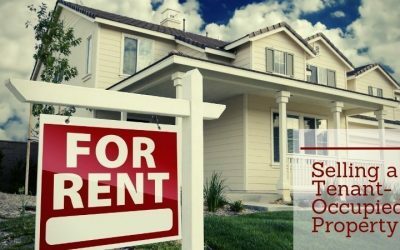 If you know something about the property that is important and is not addressed on the SPDS, add that information to the form. Prospective buyers may rely on the information you provide. The seller must be completely honest and disclose all known defects. Should a buyer discover a problem later and the seller did not disclose it…there may be litigation. DISCLOSE ALL! SPDS for your review Here is an illustration of the possible consequences. Family buys an new home. The flooring is new but not to their taste. They pull out the flooring. They discover the slab is badly cracked. They discover the business card of the flooring contractor. They call and ask if he would install new flooring for them….they thought his workmanship was good but preferred other finishes. The contractor says he would love to install new flooring for them….oh and would they like him to repair the slabs…the previous owner choose not to. The previous owner did not disclose the problem…..there is proof he knew there was a problem. He is now liable for the repairs. Contracts depend on the ability of a buyer to obtain financing, which is why all sellers demand buyers with preapproval letters from lenders. The buyer should also provide the seller a LSU loan status update within 5 days of the contract being signed. This ensure that the buyer can actually acquire a loan. Most transactions involve a home inspection. There is a 10 day inspection period that allows the buyer to investigate the home and the neighborhood the home is in. 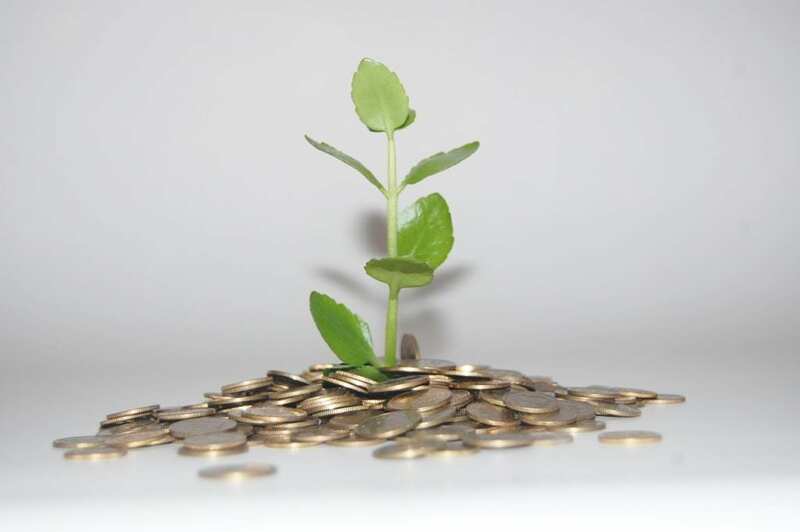 Lenders will establish numerous conditions before granting a loan. They will want a title exam, title insurance to protect against title errors, a termite inspections, possibly a survey and an appraisal to assure that the home has sufficient value to secure the loan. The the buyer typically arranges all required inspections. The sellers Realtor® is tracking the time to insure that the buyer is accomplishing all the required tasks for the home to move on to closing. Together they move the process along and verify that the title company and lender are moving toward the required closing date. Property inspection and appraisal phase of Escrow The next 10 days are referred to as the inspection period. You will have your home examined by a Home Inspector and a termite inspector. They will look for damage and defects on the property. A full report will be prepared to document all the findings. You will then have the opportunity to request repairs from the seller or a reduction in price in lieu of the repairs The seller has the option to repair or refuse. If an agreement is not reached the buyer can cancel the contract and receive the earnest money back. During this time you should do your due diligence and research the area, talk to neighbors and use the buyers advisory to look into any aspect of the home that could be an issue to you. Once the inspection period is complete an appraisal is ordered. The lender selects the appraiser. The appraisers opinion of value will be presented in a full report. If the house appraises below the purchase contract amount the buyer can cancel the contract or renegotiate the price. Processor’s, underwriter’s review and final loan approval phase of escrow Now the loan processor reviews the entire loan file and sends all the pertinent information to an underwriter who makes the final decision to approve the loan. If you had a pre approval and have not quit your job or bought a boat….this is a slam dunk. Keep in mind that there may be financial conditions or property conditions that may need to be met before loan approval. Signing The final loan and escrow documents are prepared and signed by both the buyer and the seller. At this time you will wire or provide a check to the title company for the down payment. Funding A wire or check for the amount of the loan is sent to the title company from the lender. Close of escrow The documents are recorded with the county. Confirmation of recording The title company authorizes the escrow company to draft a check to the seller and the buyer gets the house key!!! Congratulations!!! You can now move on!!! Forged documents, i.e., deeds, releases, etc. TWO KINDS OF POLICIES It is important to know that there are two kinds of title insurance. LENDER’S TITLE INSURANCE protects only the interest of the lender. 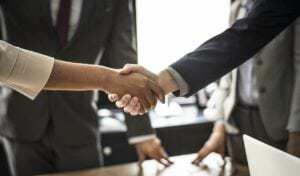 Lenders, knowing the many things that can snarl title to real property usually – and rightly – insist upon lenders title insurance to protect their stockholders and/or investors. OWNER’S TITLE INSURANCE protects the interests of the buyer. Both kinds of title insurance are available in most areas in a single, low cost “package” that protects both lender and buyer for as long as they or their heirs have any interest in the property. The title insurer, without expense to you, will defend you against insured claim upon the title to your property. The one-time premium is small. The protection is great. Realtors’ commissions. One of the largest costs you’ll pay. The standard commission is 6 percent, split between your agent and the buyer’s agent. Recording fees or transfer taxes. There are state and local fees for the transfer of the title from one owner to another. They can vary dramatically from state to state, ranging from 0.1 percent to over 2 percent. Title insurance. This protects the lender and the buyer from claims against the property. Buyers usually pay the lender’s title insurance. Attorneys fees. In some markets, both buyers and sellers have their own attorneys. In others, one settlement attorney conducts the transaction. Prorated property taxes and HOA fees. Like mortgage interest, property taxes and homeowners association dues must be paid up to the settlement date. You will be closing escrow soon. Lets not forget to do some simple closing steps. Lets tie up some loose ends and move on! 1. Take services out of your name….closing steps one Avoid a dispute with the buyers after closing over things like fees for the cable service you forgot to discontinue. Contact every utility and service provider to end or transfer service to your new address as of the closing date. The close of escrow day belongs to the buyer. So make your last day of service the day before. If you’re on an automatic-fill schedule for heating oil or propane, don’t pay for a pre-closing refill that provides free fuel for the new owner. 2. Home Owners Insurance…closing steps two Contact your insurer to terminate coverage on your old home, get coverage on your new home, and ask whether you’re entitled to a refund of prepaid premium. 3. Spread the word on your change of address…closing steps three Provide the post office with your forwarding address two to four weeks before the closing. Also notify credit card companies, publication subscription departments, friends and family, and your financial institutions of your new address. 4. Manage the movers….closing steps four Scrutinize your moving company’s estimate. If you’re making a long-distance move, which is often billed according to weight, note the weight of your property. Also check with your homeowners insurer about coverage for your move. Usually movers cover only what they pack. 5. Do the settlement math….closing steps five Title company employees are only human, so they can make mistakes. The day before your closing, check the math on your HUD-1 Settlement Statement. Are all mortgages being paid off, and are the payoff amounts correct? If your real estate agent promised you extras—such as a discounted commission or a home warranty policy—make sure that’s included. Also check whether your real estate agent or title company added fees that weren’t disclosed earlier. If any party suggests leaving items off the settlement statement, consult a lawyer about whether that might expose you to legal risk. Be sure the settlement company properly credited you for prepaid expenses, such as property taxes and homeowners association fees, if applicable. If you’ve prepaid taxes for the year, you’re entitled to a credit for the time you no longer own the home. Have you been credited for heating oil or propane left in the tank? 6. Don’t leave money in escrow…..closing steps six End your home sale closing with nothing unresolved. Make sure the title company releases money already held in escrow for you, and avoid leaving sales proceeds in a new escrow to be dickered over later. Planning is key. Stock up on boxes, packing materials, tape and markers. Always mark boxes so that movers or you will know where goods should be placed. So you’re selling your house in the Mesa area? Great, but you probably want to know how much you will net….. how much money you will bring home. So what are the costs of selling a house in Mesa AZ. Yes, there are more than a handful of costs associated with selling your house. My goal in this article is to give you a good idea on the true cost of selling a house in our market. Some costs and fees are more common than others, so let’s dig in to see what they are. Taxes – Before selling your home, you have to make sure the property tax bill is current. You are responsible to pay your taxes for the days you own the house. In Maricopa County property taxes are billed in two installments a year in arrears. The due date for the first half tax is October 1. This pays for the taxes from January 1 to June 30. The second half tax is due April 1 of the following year. 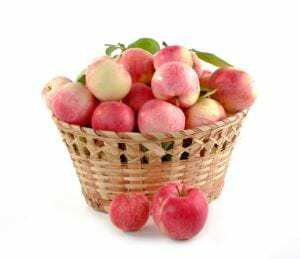 This pays for the taxes from July 1 to December 31. Property taxes are prorated at closing for taxes accrued but not yet due and payable, based on the yearly tax amount and the closing date. Basically you pay for the days you own. So lets say close of escrow is February 15….as the home owner you will be liable to pay the taxes on January 1 to February 14 (close of escrow day belongs to the buyer). The Title Company will calculate this cost in your closing costs due on close of escrow. Confused yet?? That’s ok, just call me and I can explain it better if need be. Title Fees – When you close on your home there are title fees involved. It’s customary for you to purchase title insurance for the buyer as an additional cost to selling a house. This is a good faith move to protect the buyer in case there’s an issue with the home’s ownership history. This will usually cost somewhere around $1200 on the lower end, but is based on the overall sales price of your property. The higher the cost of the property, the higher the title fees. There are also Seller escrow and title service fees. Recording fees– the cost of recording the transaction with the county. HOA fees– Just like property taxes you are liable for the days you own the house. We’ve gone thru most of the unavoidable costs of selling a house in Mesa, but there’s other things that you may or may not want to pay for, based on your situation. Staging – It’s very good practice to remove clutter & give your home a deep cleaning before putting your home on the market. If you want to take it a step further, you may want to hire a home stager to make your home even more visually appealing. They may rearrange or even rent furniture and paint walls, and will run you about $1000 for their services. This is something you can do yourself. Please take your realtors advice on what to do. Do any obious repairs at this time as well. Repairs – Once a buyer has found your home and had a home inspection, there’s a good chance they will request that some repairs be made based on the report. In lieu of repairs, they may request a credit at closing instead. Budget for surprises. Closing Cost Credits – Home buyers have a number of fees that they are responsible for themselves, particularly when getting a mortgage. 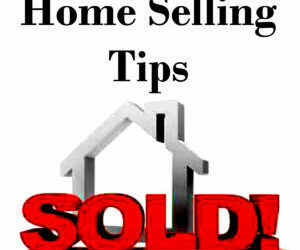 In most cases, the seller can contribute a portion of the fees on behalf of the buyer. In slower markets this is fairly common, and can range from 3-6% of the sales price. Depending on the market and your homes price point this may be common. Marketing – If you choose to sell your home without a Realtor®, you will be responsible for all of your own marketing costs. I won’t go too deep in to that here. Keep in mind that marketing is a full time job. 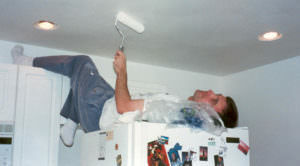 If you want to get the full value of your home use an expert. Professional Photos–If you choose to sell your home without a Realtor® you should get professional photos of your home. And get these photos labeled and organized in a logical manner. The photographer does not do this the realtor organizes and labels. This is the first thing potential buyers see. It needs to be done well so you make a good first impression and then you get a showing and an offer. This is huge in the importance list!!! Realtor® Commissions – This is a big sticking point for some people. In addition to the marketing plan I just mentioned, you get a dedicated professional and their skill set to help manage the transaction and get your home sold. You get access to our connections and our expertise to ensure that your home gets sold for the highest price in the shortest amount of time. I’m no magician, but I’m a great marketer and will set realistic expectations up front and keep you updated from start to our closing date. 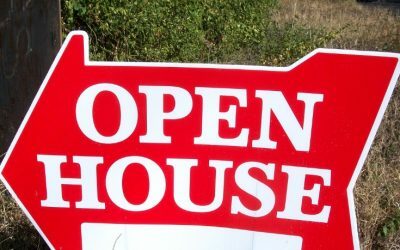 The traditional commission is 6%…3% for the Realtor representing the buyers and 3% for the realtor representing the seller..
Should We Really Have an Open House? 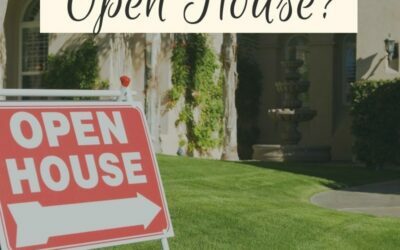 Who Actually Comes to Open Houses and Are They Necessary?